At the beginning of this year, we set a goal to fund 10 small business owners in developing countries as part of the Inn on Mill Creek’s 10th birthday celebration. We’re part of a microlending program through Kiva, where regular people like us can pool our money with other lenders to loan to people with small businesses who are trying to lift themselves out of poverty, make a positive impact in their communities and be part of making their local economies stronger. When the business owners pay back their loans, we can either take our money out or invest in another entrepreneur; we choose to do the latter. 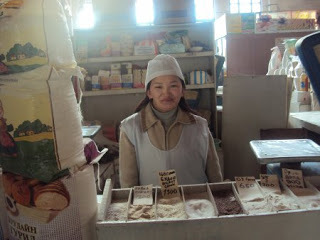 Byambajargal has done well enough with her business so far that she’s been able to expand her sales to rice and sugar. She’ll use her loan to buy flour for resale in order to further grow her business. Our best to both Arif and Byambajargal! As the year wraps up, we’re happy to share that four of our ten small business owners, Eusebia (Peru), Mavjuda (Tajikistan), Ndeye (Senegal) and Marcos (Honduras), paid back their loans, meaning we were able to make microloans to four more small business owners. 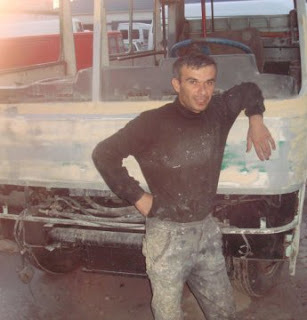 Plus, Mohammad Smail in Afghanistan, one of our 2008 loan recipients, paid back his loan this year, allowing us to help out a fifth new business owner. And as our other loan recipients continue to pay back their loans, we’ll be able to invest in helping others as we head into 2010. That makes us smile.